What types of games did families enjoy in the years before electronic games were invented? 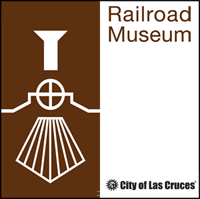 The Las Cruces Railroad Museum hosts Family Game Day on the 2nd Saturday of each month. Develop hand-eye coordination with Jacks and Cup and Ball Toss, stimulate your mind with jigsaw and wooden puzzles, or challenge friends to a game of Dominos. Stop in anytime on November 9th between 10 am and noon to try your hand at a variety of old-fashioned games.